You probably noticed that, last month, this regular ‘musings’ column was written by Rebecca Aris rather than me. That’s because I took a short holiday and, as usual when I do this, ended up with about a million things to do before I went and right when I got back. So first of all, thanks to Rebecca for stepping in and taking the opportunity to talk about our peer-nominated pharma innovators in covering for me. On those few days out of the office I took the chance to visit Rome – somewhere I have never been before but heard a great deal of positive things about. It certainly did not disappoint – so many amazing sights to see and, best of all, glorious sunshine every day, a far cry from the ever wetter quagmire that the UK is fast becoming. Rome is quite simply steeped in hundreds of years of history, from the Roman times right through to the more recent Renaissance and it is on display everywhere you look. Even the ruins of once glorious architecture such as the Colosseum serve as a grand reminder of what we can achieve when we really put our minds to it. But it also served to remind me of the phrase “Rome wasn’t built in a day”, which no doubt occurs to many who visit this historic city. In fact, it got me thinking even further – very little that is considered ‘great’ is built in a day, or even a few weeks. In fact, it’s normally the results of many years of hard toil before it reaches greatness. For example, if you look at the technology giant Apple, it’s been a long road from its inception in 1976 to where it is today. Likewise, on the dawn of the London Olympics, you will see many athletes winning Gold medals who were nowhere near such standard back in Beijing. 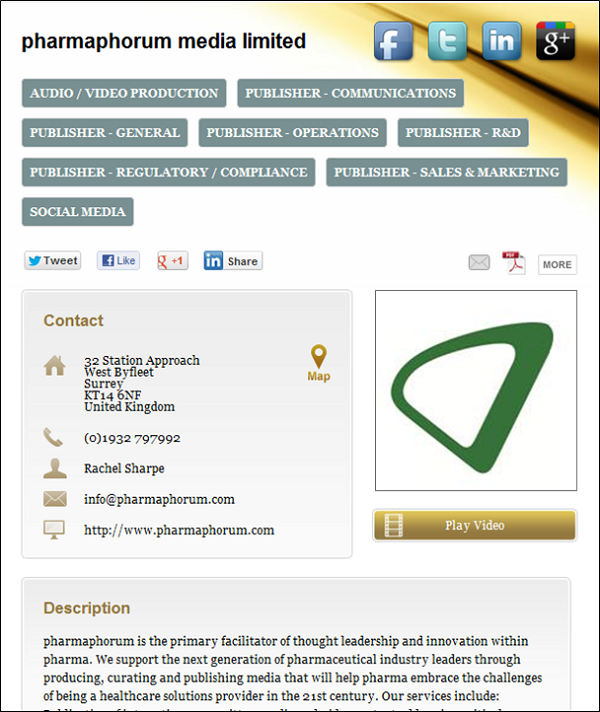 • Add in showcase pages (see figure 1 for a glimpse of ours) for multiple offices, ensuring the right contact details are quickly available on pharmaphorum, alongside a description clarifying your position in the market. • Flag your showcase page to the right audience by tagging it with one or more categories denoting your focus area. • Connect visitors through to your social media channels and regular updates, including a dynamic Twitter stream and news feed. • Have articles you publish with us tagged against your showcase page. • Add unlimited job opportunities to ensure you connect with the right talent to drive your business forwards. To be transparent, some of these features may eventually come with a small annual administration charge, as it takes resource on our side to moderate the showcase listings, but we want to keep this to a minimum, plus there is no cost right now – we just want feedback and suggestions. I’m particularly excited about the fact that you can not only proudly display what your organisation is all about, but also recruit through the site too – after all, thought leadership and innovation starts with having the right people. So are we trying to duplicate Facebook or Linkedin company pages, are we just another directory or job board? Absolutely not! There are most definitely some good things about what Facebook and LinkedIn are doing for companies, but we have a fantastic pharma audience visiting here every day – it’s all about helping organisations connect with our audience and talk about the great work they are doing in a dynamic way. Our visitors might not even be looking for a new service provider or job, but in checking out the latest article they might just see one that interests them. But here’s the key thing – in the same way that Rome wasn’t built in a day, we know there is much we can do to further develop the Global Pharma Showcase to better meet the needs of our audience, so get involved now as there is no cost involved! The only way we can do that is to listen to your feedback, so if you think there is something that we can improve or a new feature we can add that would be cool then please let us know. 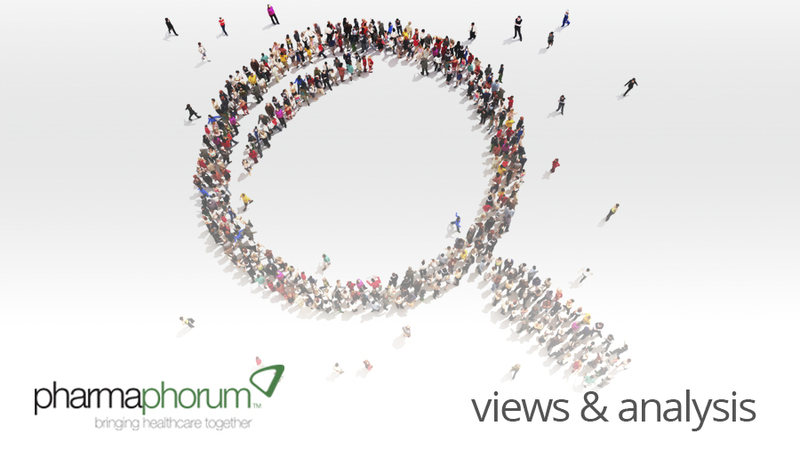 With your help, we’ll keep developing pharmaphorum into a better pharma community. We’ll take the constructive criticism along with the praise, so let us know what you think – we’re listening. Until next time, enjoy checking out the new features and stay well. Are you effectively showcasing your pharma talent?